If you are having culture challenges with your organization, you are not alone. 80% of participants at a recent conference (Scrum Gathering in Orlando) reported that the dominant culture in their organization is not supportive of progressive working environment such as Agile. Here are the results when I asked this question at the Scrum Gathering in Orlando in April 2016. A whopping 80% or participants are in organizations that are predominantly Red/Amber or Orange. 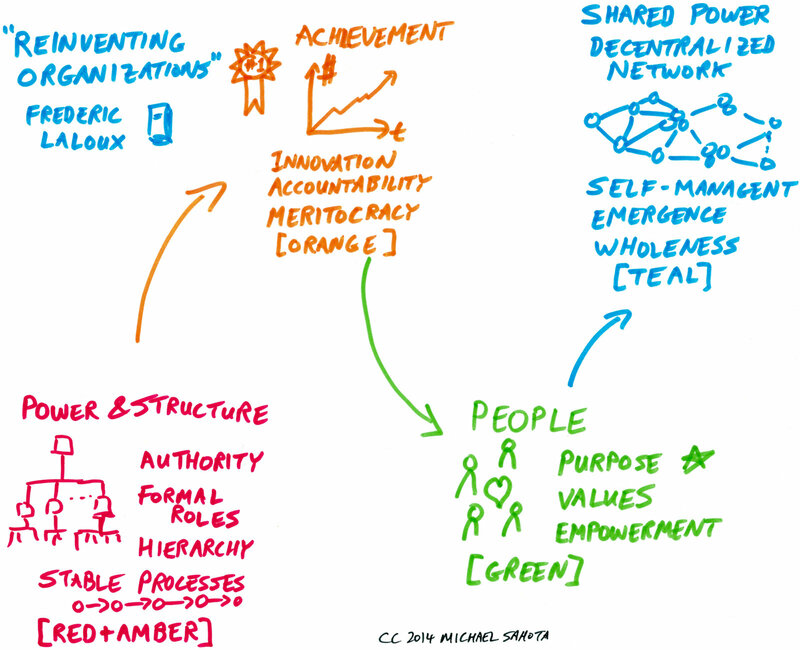 Agile culture is compatible with organizations predominantly green or teal as per diagram below. Only 20% or the session participants evaluated their organizations as ones supporting Agile. This can be seen as the gap between Doing Agile and Being Agile. 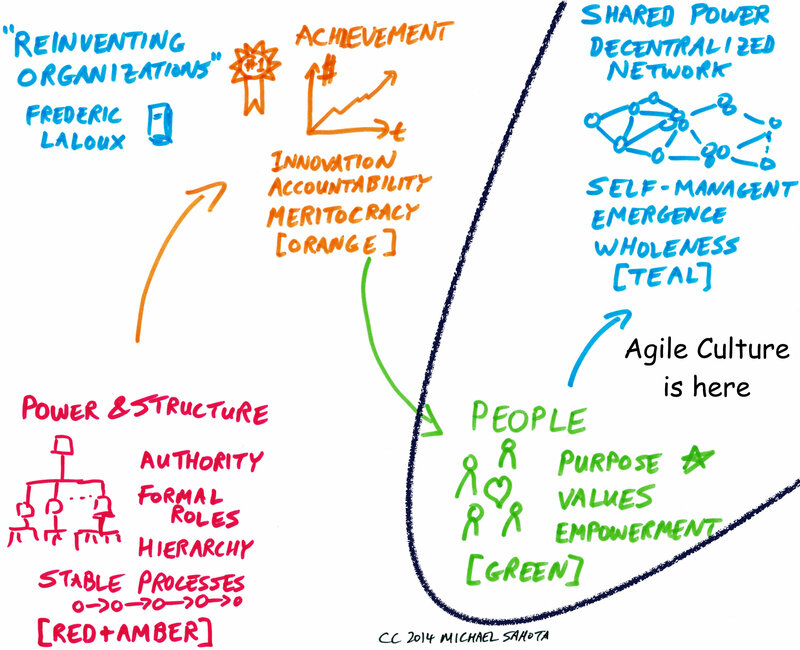 Lot’s of organizations trying to Do Agile without creating cultural context to Be Agile. No wonder there is so much failure around Agile. In 2012, I reported almost identical results: Agile Failure and Culture – Agile 2012 Workshop Results. In this survey, I used the Schneider model with people reporting that 70% of companies were in control culture (similar to red/amber or orange). This suggests that as an industry we have not improved. Or perhaps that the improvements have been shadowed by growth of “Doing Agile”. What Can You Do About a Culture Gap? Trying to “Be Agile” is not a recipe for success. Instead we may see it as an invitation for real change to the fabric of the organization. Real change requires organizations to focus on their own goals and dreams – not cut and paste Agile in their organization. This is why I advocate stopping Agile initiatives and Conducting “Agile is NOT the Goal” Workshops. Please keep in mind that survival is optional – companies do not need to change their culture. What can you do? Start a conversation about this! Listen to hear what the system wants for itself.